A question commonly asked of theatre makers, and often by peers and collaborators is: why do you do it? The assumption is that theatre cannot possibly compete with what is available in digital media, at least in most countries. Easy access to the Internet, TV, or DVDs has made live performance, if not irrelevant, at least economically less viable. When one considers this economy in relation to the film or TV industry, we refer not so much to the human labour involved or even the means of production utilised to create a traditional theatre event, but rather it's dissemination. Theatre is generally far more economical and less labour intensive than making an hour length television drama or a feature film. The key advantages of theatre are that it is accessible and can cost very little in material terms. Yes, there are venues to furnish, maintain and hire, rehearsals spaces to organise, people to contract at award rates or in co-op arrangements, marketing and ticketing and so on, but the reality is theatre can be done cheaply, quickly, and can be readily mobilised. Its user-friendliness is precisely what makes it attractive to artists. More money requires more compromise. The question concerning theatre's economic viability is rarely posited around methods of production, but rather its distribution as an end product. A live event cannot be readily downloaded from the Internet, or packaged and put in the post like a DVD (which is not to say a theatre event can't take place over the internet or be digitally recorded). Theatre defies ready commodification. Its ephemeral nature, its lack of materiality, challenges our understanding of the way consumption occurs. How do we place a monetary value on it? You might say, I had a fun night, and therefore I got my money's worth. Or perhaps, it was seven hours long and bored me shitless, and so I might feel ripped off. 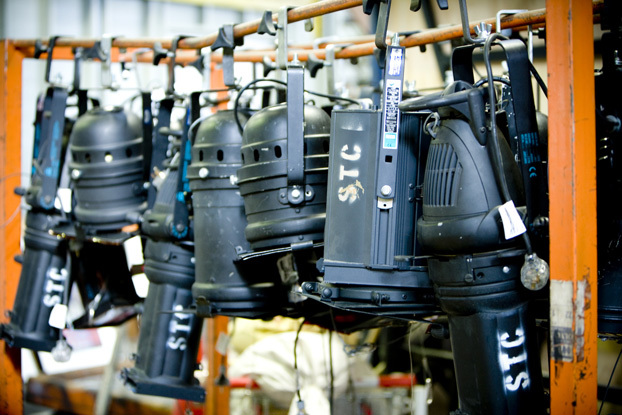 In theatre, there is no packaged product to be exchanged. The reception of the theatrical event cannot be separated from what is performed. The theatrical event is a live exchange between people, and this exchange is not quantifiable or easily defined. So why does this question of theatre's so-called lack of viability persist? Is it because the malaise of corporatised language has infiltrated and poisoned our cultural lexicon, requiring us to justify arts subsidies accrued from government agencies and therefore taxes? Is it even possible to measure the success or health of cultural activities such as theatre? Recent studies on cultural consumption, defined by ticket sales, suggest that we are consuming more art in Australia than ever before. Ticket sales cannot measure the influences and affects exerted by a particular theatre event on culture more generally, or specifically on the minds of those who witnessed it. It is true that other, more efficient economies of performance, such as television, can garner a mass audience share in ways that theatre simply cannot, and can offer far more lucrative rewards to artists. A mass market also offers fame; it can satisfy a latent narcissistic need for recognition that many artists crave, and can grossly exaggerate their cultural significance. If more people know about the work of a particular artist, it therefore must be better than something that floats about in obscurity. Would we hold up those standards for literature? A book like Ulysses(and many other modernist masterpieces), could not be ruled out as irrelevant simply because it was printed in an original edition of one thousand. Theatre of course differs from a book in that it is generally produced for a short season, never to be seen again. An important question to ask is: who decides what constitutes a theatre event in the first place? Are we talking about, at one extreme, a performance that takes place in a recognised theatre venue, or a kind of theatre that takes place in the context of any social interaction between one person and another, or an object? Does the interaction in this latter instance need to be witnessed, in order for it to be theatre? Can theatre come into being, not through conscious creation, but rather as an occurrence within the 'psychopathology of everyday life'? Raimondo Cortese is the current Patrick White Fellow at the Sydney Theatre Company.